Maisie loves playing with other dogs, walks, people, and treats! 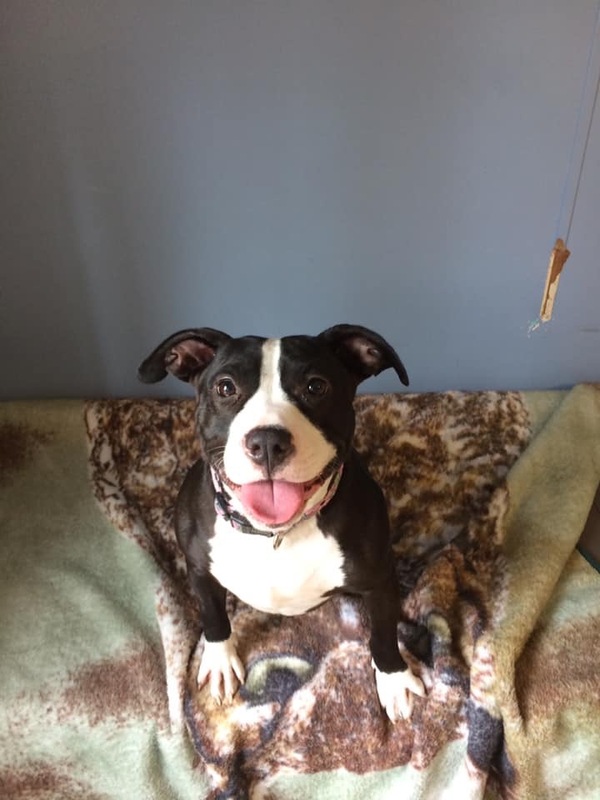 Maisie may need some work with her potty training, but that is fixable with a new routine! She is kennel trained, and goes into her kennel willingly. We have not tested her with cats, but she would love a home with a sibling! Maisie has a lot of energy, and will need a home who can give her the time, and space to burn it off! Maisie is current on vaccines, has been given flea and tick preventative, has been dewormed, is microchipped, and has been spayed! Her adoption fee is $85 but her potential adopter still needs an approved adoption application. To adopt an animal, please fill out an adoption application before visiting the Sanctuary. This speeds up the adoption process. All adoption applications require a reference check from a previous or current veterinarian and other references as needed. Scan and email to afwvdirector@gmail.com. Hand-deliver it to the Sanctuary. The $85 adoption fee covers all vaccinations, heartworm and feline leukemia/FIV (feline immunodeficiency virus) testing, de-worming, and spay or neuter procedure.